Elias Monk was born perhaps about 1700. 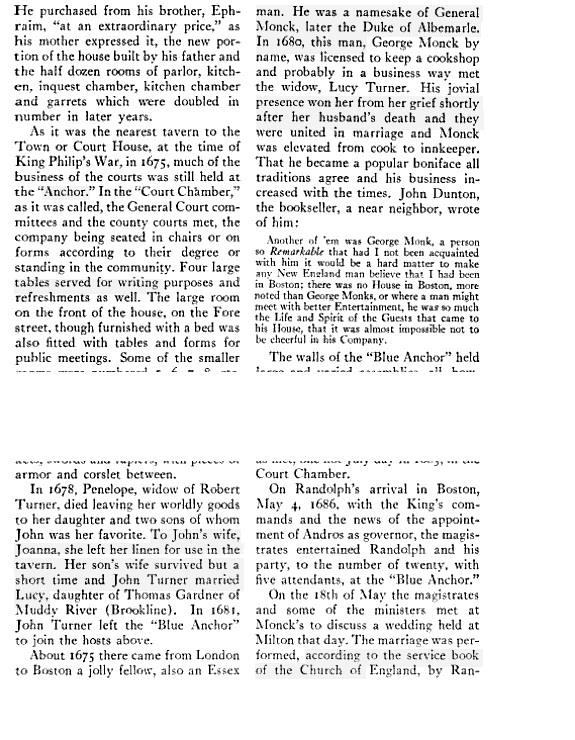 Dorchester Births, Marriages, and Deaths to the End of 1825, , at https://books.google.com/books?id=mUEOAAAAIAAJ . Boston: Rockwell and Churchill, city printers, (1890) , p. 112. Dorchester Births, Marriages, and Deaths to the End of 1825, , at https://books.google.com/books?id=mUEOAAAAIAAJ . Boston: Rockwell and Churchill, city printers, (1890) , p. 57. Dorchester Births, Marriages, and Deaths to the End of 1825, , at https://books.google.com/books?id=mUEOAAAAIAAJ . Boston: Rockwell and Churchill, city printers, (1890) , p. 48. 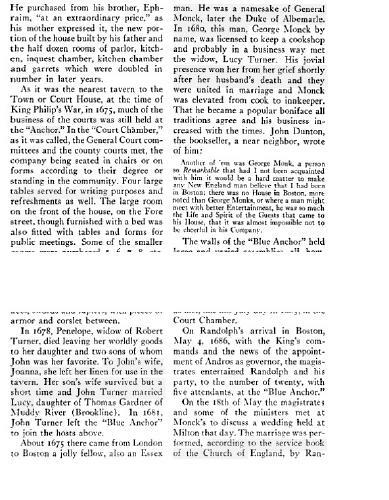 Dorchester Births, Marriages, and Deaths to the End of 1825, , at https://books.google.com/books?id=mUEOAAAAIAAJ . Boston: Rockwell and Churchill, city printers, (1890) , p. 40. Marshall Kim Gardner, Gardner, Gardeier, Gardiner, Gardinier, Gartner genealogy and allied families, Gregath Co., (1983) , p. 127. The Hovey Book: The English Ancestry and American Descendants of Daniel Hovey of Ipswich, Massachusetts, , at https://books.google.com/books?id=-VVVAAAAMAAJ . Haverhill, Mass. : Press of Lewis R. Hovey, (1914) , p. 140. Rebecca Heald Monroe was born on January 26, 1806 in Carlisle, Massachusetts, daughter of Abijah and Sarah C. (Heald) Monroe. Rebecca married on February 23, 1834 in Washington, Sullivan County, New Hampshire, Gardner Spaulding as her second husband. living at East Washington, Sullivan County, New Hampshire. Rebecca died on December 24, 1887 in East Washington, Sullivan County, New Hampshire, at age 81. (?) Moore was born perhaps about 1843. On October 9, 1899, Edward Herman Moore was superintendent at Mass. Fan Co.
"United States Census, 1910," database with images, FamilySearch (https://familysearch.org/pal:/MM9.3.1/TH-1951-23033-2227-5?cc=1727033 : 11 November 2015), Massachusetts > Middlesex > Medford Ward 4 > ED 932 > image 2 of 44; citing NARA microfilm publication T624 (Washington, D.C.: National Archives and Records Administration, n.d.). "United States Census, 1920," database with images, FamilySearch (https://familysearch.org/ark:/61903/1:1:MXBP-JY1 : 14 December 2015), Edward Moore, Cambridge Ward 9, Middlesex, Massachusetts, United States; citing sheet 11A, NARA microfilm publication T625 (Washington D.C.: National Archives and Records Administration, n.d.); FHL microfilm 1,820,708. Moore, James M., clerk 16 North. house at Chelsea. 1900 United States. Census Office. 12th census, 1900 population census schedules, Washington, District of Columbia: Bureau of the Census Micro-Film Laboratory, ([197-]) , Census Place: Waltham Ward 1, Middlesex, Massachusetts; Roll: T623 667; Page: 8B; Enumeration District: 973. 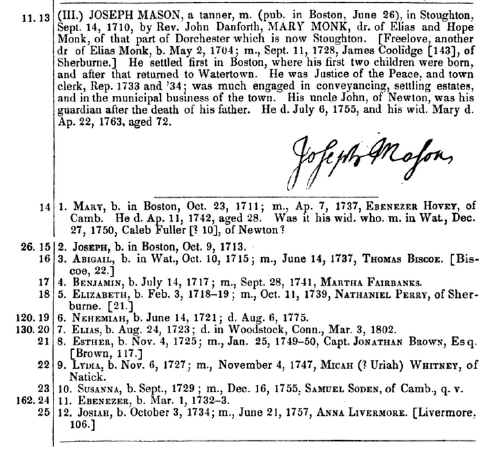 "Massachusetts, Births, 1841-1915," index and images, FamilySearch (https://familysearch.org/pal:/MM9.1.1/FXCX-88F : accessed 11 Nov 2012), James M. Moore, 1849. 1860 United States. Census Office. 8th census, Population schedules of the eighth census of the United States, 1860, Washington, District of Columbia: National Archives. Central Plains Region, (1950, 1967) , Census Place: Chelsea, Suffolk, Massachusetts; Roll M653_526; Page: 686; Image: 55. 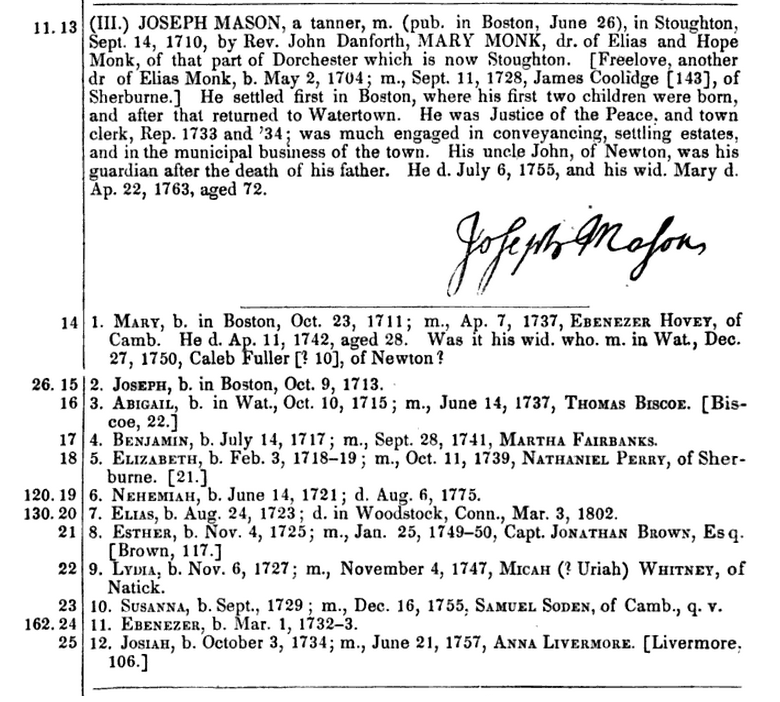 "Massachusetts Deaths, 1841-1915," database with images, FamilySearch (https://familysearch.org/ark:/61903/1:1:N72N-27S : 10 December 2014), James M. Moore, 26 Mar 1879; citing Waltham, Massachusetts, v 311 p 184, State Archives, Boston; FHL microfilm 960,216. Massachusetts Vital Records, 1841-1910, , Vol: 299 ; Page: 182. Town and City Clerks of Massachusetts, Massachusetts Vital and Town Records, Provo, UT: Holbrook Research Institute (Jay and Delene Holbrook), , Littleton > Town Records and Meetings, with Births, Marriages, and Deaths > 11. "Massachusetts Deaths, 1841-1915," database with images, FamilySearch (https://familysearch.org/ark:/61903/1:1:N7L8-4P5 : 10 December 2014), Nancy Goodrich, 09 Jun 1857; citing Boston, Suffolk, Massachusetts, v 113 p 38, State Archives, Boston; FHL microfilm 960,173.